6am to 10pm Monday thru Sunday. Gates close at 9pm. The beach extends from Pacific Coast Highway at Golden West to Pacific Coast Highway at Warner Ave. 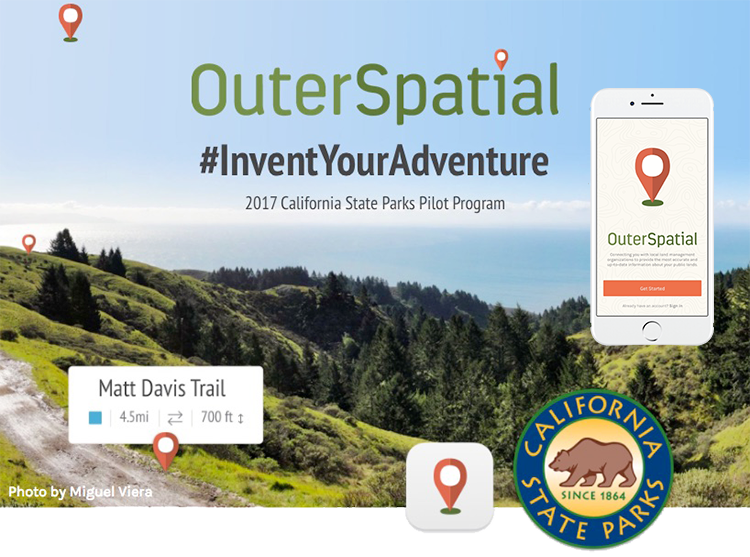 This fall, California State Parks is piloting a new iOS mobile app in 8 parks around the state. If you visit Bolsa Chica State Beach, download OuterSpatial and try it out! This new app gives you information about amazing destinations - including special events, maps, photos, and official trail guides - right at your fingertips. Bolsa Chica State Beach is a popular state beach, drawing hundreds of thousands of visitors to its location south of the community of Sunset Beach in Orange County. This area was once called "Tin Can Beach" and became a state beach in 1960. Bolsa Chica is a perfect place to go surfing, sunbathing, play volleyball, enjoy water sports, hold family outings or to watch the sun set. Average summer temperatures range in the high 70's-80's, while winter brings slightly cooler temperatures to the mid-60's. The beach consistently draws prime waves and the surf breaks in shallower water, causing incoming waves to form a desirable curled shape as they crest. Bolsa Chica is also a place for surf fishing of perch, corbina, California corbina, croaker, cabezon, shovelnose guitar fish and sand shark. At new and full moons during the summer, visitors can enjoy bare-handed fishing for California grunion, a species that only spawns on sandy southern California beaches. Under state law, these fish may be caught by hand with a fishing permit. Wildlife and bird watching are also popular at this state beach. 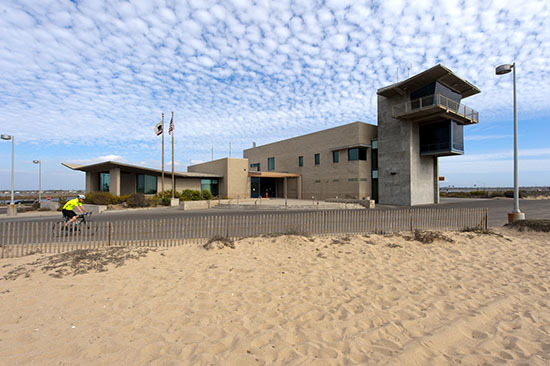 The Bolsa Chica Ecological Reserve is located across the Pacific Coast Highway (PCH) from the beach and is operated by the California Department of Fish and Game. 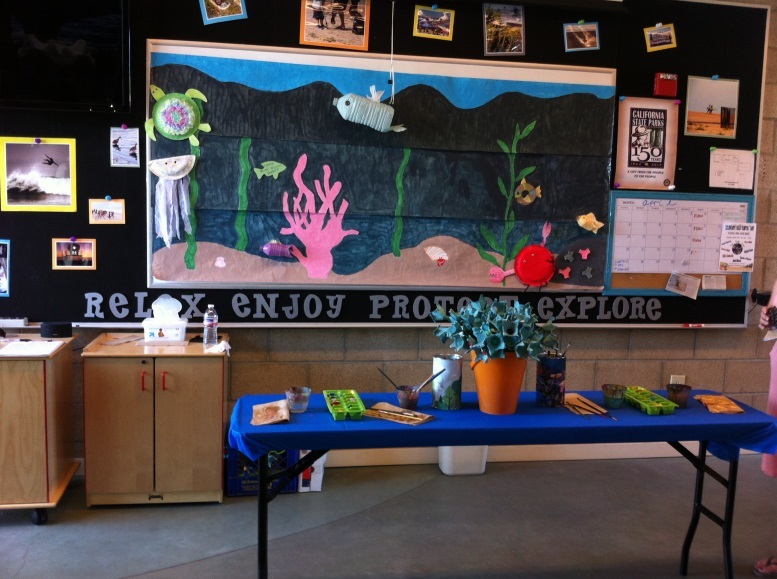 The Bolsa Chica State Beach Visitor Center features year-round interpretative displays and exhibits. The State Beach has 50 campsites with electric and water hookups for self-contained RVs. 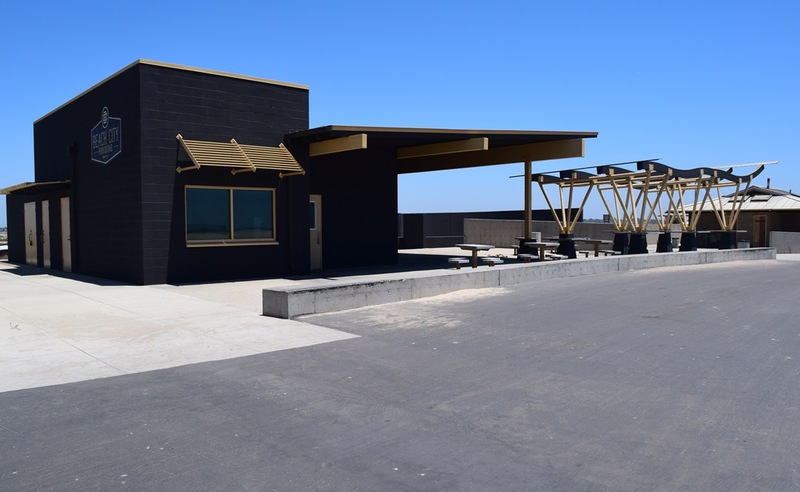 Picnic tables, outdoor showers and restrooms are accessible. A beach wheelchair is available for loan, with ramps for sand access. 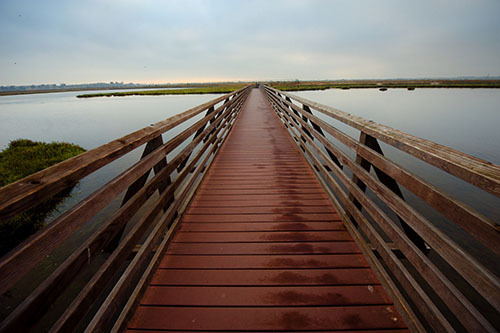 There is a paved beachside trail that runs for 8.5 miles between Bolsa Chica and Huntington State Beaches. Note: Tent camping is not allowed at Bolsa Chica State Beach. Fire rings are available every day of the year from 6 am to 10 pm. 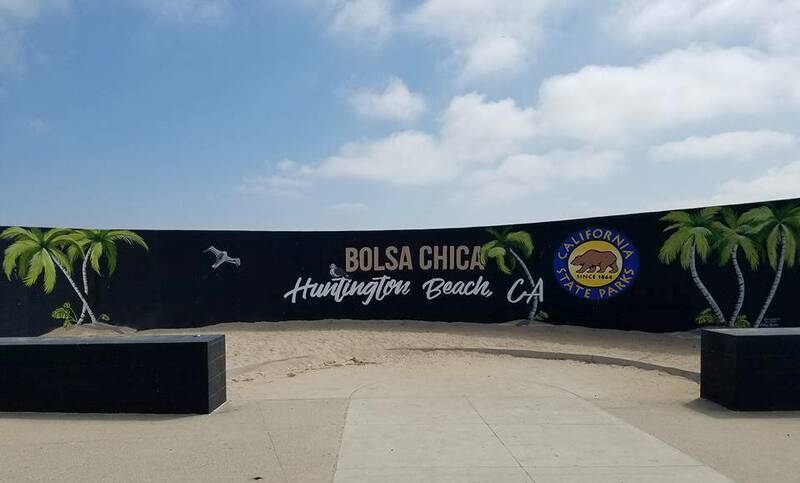 Bolsa Chica State Beach is located in Huntington Beach, California and extends three miles from Warner Avenue to Seapoint Avenue along Pacific Coast Highway. Our 200 fire rings are first come first serve, unless reserved with a picnic area (click here for more information). NO charcoal grills allowed. 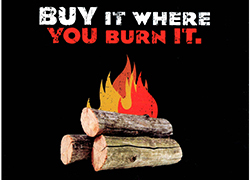 Coal and wood may be used in the fire rings only. You may bring your own propane grill but it must be at least 18" off the ground. 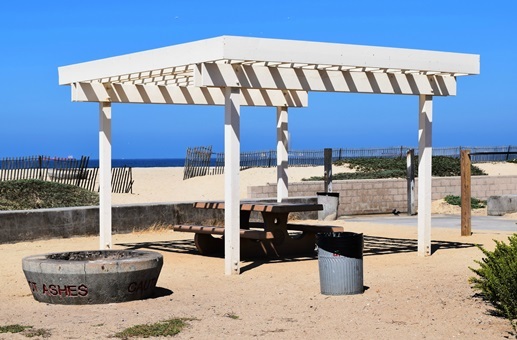 Propane grills can be put anywhere on the beach behind the line of Lifeguard Towers. NO alcohol allowed, unless approved with a Special Events Permit (please click here for more information). NO balloons or piñata type items allowed. Please help us keep our wildlife safe from eating these items. NO enclosed tents, ez-ups and open tarps only. NO dogs on sand, they can be on a leash on the multi-use trail (bike path) only. For information on Service Animals in State Parks, please click here. RVs: NO pop-outs/awnings allowed. You may bring your RV but you must be inside it or on the beach. Each parking space must be available for a paid parked vehicle at all times. 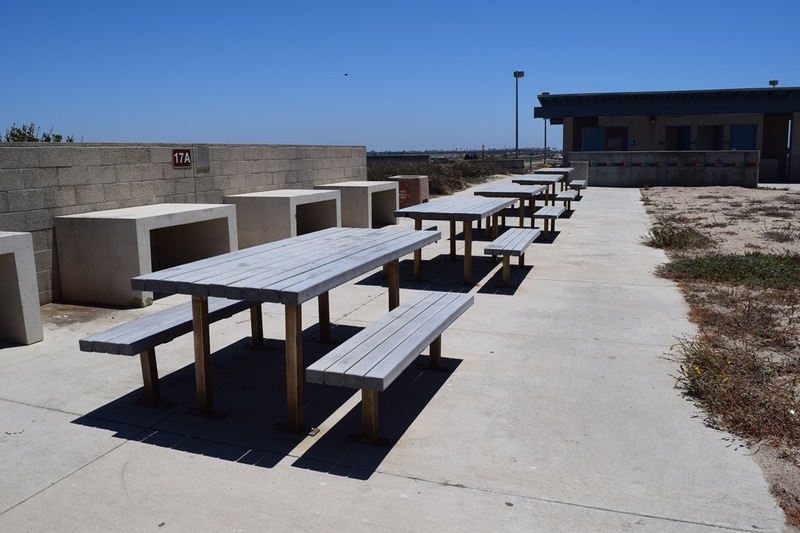 Please note, weddings at Bolsa Chica State Beach are not permitted during peak season. For more information on how to get your permit started, please go to the Special Events page.